A common strategic goal of innovation initiatives is to establish a “culture of innovation” with the objective to deliver a continuing stream of improved processes, enhanced services and new products which benefit the business. A previous blog raised some of the challenges to this, including recognizing that an organization’s culture needs to adapt to embrace innovation. Process is only part of the picture. While establishing a clear and consistent process for capturing and fostering ideas is important, it needs to become part of the fabric of the organization and be embraced and encouraged by leaders at all levels. 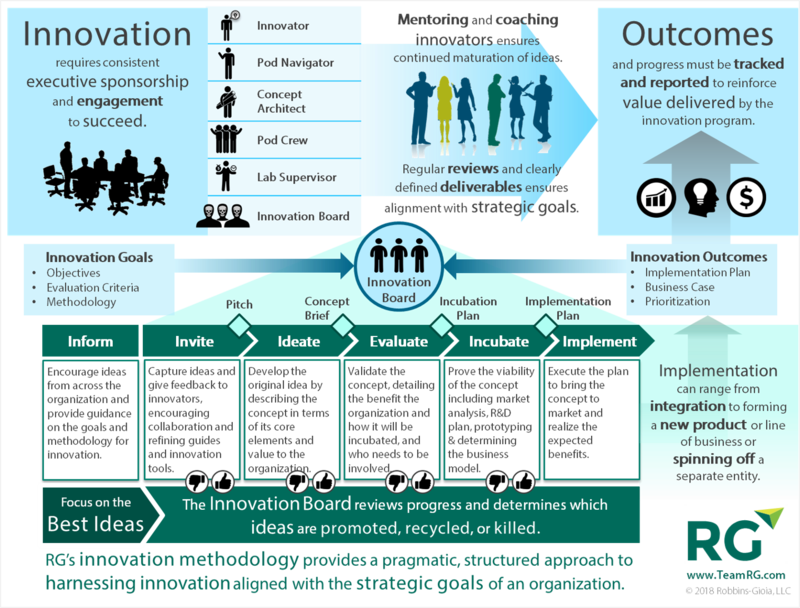 Engaging executives, business leaders, and communities within the organization to build understanding of the strategic and personal benefits of innovation is a key ongoing activity of an innovation program. Resistance is real. An organization-wide innovation program can be perceived as a threat to established hierarchies, resources, and budgets. Executives can regard it as a means to gain influence or forward the interests of their business unit interests – or undermine those of others. Managers may see it as a threat to their control or dilutive of their resources, especially people. Everyone will have an opinion where a budget is better spent. Actions may not be overt, as even subtle resistance can undermine the effectiveness of an innovation program. Cultural change is an art. The traditional approach is to set up an innovation group, equip it with people and tools, give it executive blessing, and launch it into the organization. Rarely are cultural challenges regarded with anything less than optimism, and few programs include change expertise to assist with adoption. Process, people, and tools are assumed to be enough, while politics and culture are much thornier problems to admit to. A good innovation program needs to identify and incent the right behavior to foster and adopt ideas that will benefit the greater organization. It’s important to establish appropriate governance that encourages and rewards contribution as well as escalate and resolve interference, ensuring that the focus remains on the best ideas most likely to succeed in achieving strategic goals. RG’s innovation methodology provides a pragmatic, structured approach to understanding these challenges and harnessing innovation aligned with the strategic goals of an organization.